C. Rajagopalachari Mahesh Rangarajan N. Balakrishnan Deepa Bhatnagar - Chakravarti Rajagopalachari, informally called Rajaji or C.R was an Indian lawyer, independence activist, politician, writer and statesman. 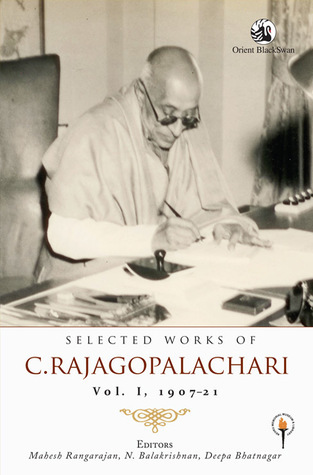 Rajagopalachari was the last Governor-General of India. He also served as leader of the Indian National Congress, Premier of the Madras Presidency, Governor of West Bengal, Minister for Home Affairs of the Indian Union and Chief Minister of Madras state. Rajagopalachari found the Swatantra Party and was one of the first recipients of India's highest civilian award, the Bharat Ratna. He vehemently opposed the use of nuclear weapons and was a proponent of world peace and disarmament. During his lifetime, he also acquired the nickname 'Mango of Salem'.